Robots are a regular staple in science fiction, from Isaac Asimov’s book I, Robot to the latest episode of Westworld. So while I was at an event in Boston, I picked up Generation Robot: A Century of Science Fiction, Fact, and Speculation by Terri Favro. It’s an interesting and funny book about the intersection of science fiction and reality, and Favro blends memoir, tech reporting, and even a bit of science fiction to look at where robots have come from, and where they could be going in the coming decades. It’s a quick, light read, and it’s a good chaser to Paul Scharre’s fantastic Army of None: Autonomous Weapons and the Future of War. Here’s 12 science fiction and fantasy books hitting stores this month that you should check out. In 2014, Mary Robinette Kowal earned a Hugo Award for her novelette The Lady Astronaut of Mars, set in an alternate history in which humanity is prompted to colonize outer space after a devastating meteor strike that destroys Washington, DC. 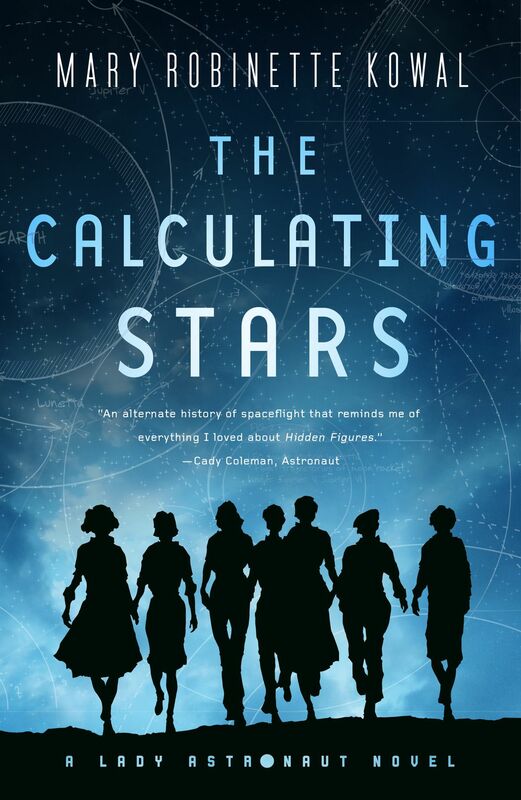 Kowal is returning to that world with two books, the first of which is The Calculating Stars. Set years before the events of The Lady Astronaut of Mars, it follows former WASP pilot Elma York as she works for the International Aerospace Coalition as a calculator, and aspires to become the first female astronaut. Publisher’s Weekly gave the novel a starred review, saying that “Elma’s struggles with her own prejudices and relationships, including her relationship with herself, provide a captivating human center to the apocalyptic background.” The second novel, The Fated Sky, comes out in August. Last year, I really enjoyed Ruthanna Emrys’ debut novel, Winter Tide, a cosmic horror novel that overturns many of H.P. Lovecraft’s conventions by turning humans into the real monsters of the story. Deep Roots returns to Aphra Marsh’s story as she struggles to recover her life and community after it was destroyed by the US government. As she works to rebuild Innsmouth, facing off against developers looking to take her home from her, she discovers that other people have begun to go missing. Emrys told The Verge last year that she was particularly excited to bring the story to New York City, where she “could bring in that full range of monsters.” Publisher’s Weekly called it an “absorbing continuation,” of Winter Tide. One of my favorite novels of 2017 was Theodora Goss’ The Strange Case of the Alchemist’s Daughter, which mashed up a number of characters from classic horror stories — like Mary Jekyll, Beatrice Rappaccini, Catherine Moreau, Justine Frankenstein, Sherlock Holmes, and Dr. Watson — in an adventure that explored and dissected the role that women played in those books. 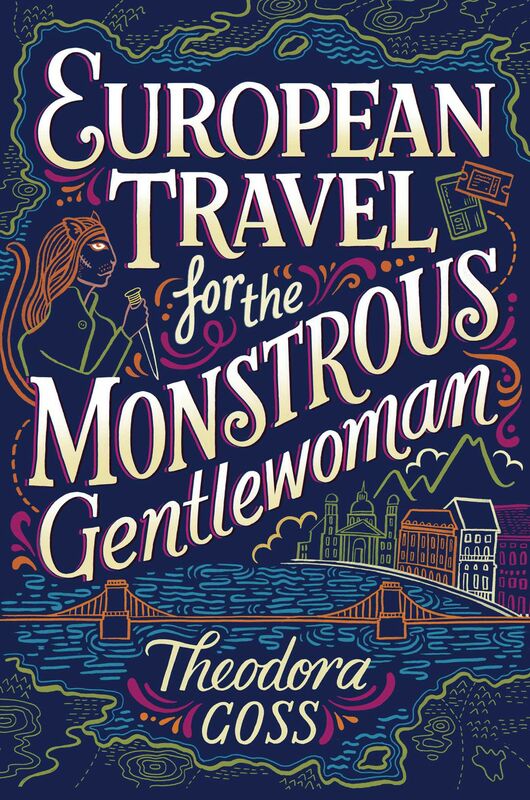 In its sequel, European Travel for the Monstrous Gentlewoman, Jekyll and the members of the Athena Club learn that Lucinda Van Helsing has been kidnapped. They set off to Europe to rescue her, and to confront the Société des Alchimistes, whose horrendous plans were responsible for their own creation. Publisher’s Weekly says that the “series concept and execution continue to be terrific fun,” even if it is a bit longer than the first book. Naomi Novik earned a Nebula Award for her fairy tale-inspired novel Uprooted. She’s back with an new book that similarly delves into folklore, Spinning Silver. In this book, a girl named Miryem is the daughter of moneylenders, but her family has fallen onto hard times. She takes their predicament into her own hands, turning silver into gold. Her abilities attract the attention of the Fey king of the Staryk, who gives her an impossible challenge, and accidentally spins a web that draws in the daughter of a local lord, angering the Tsar who had pledged to wed her. Yoss is a Cuban science fiction author whose novels Super Extra Grande and A Planet for Rent were recently translated into English by Restless Books. 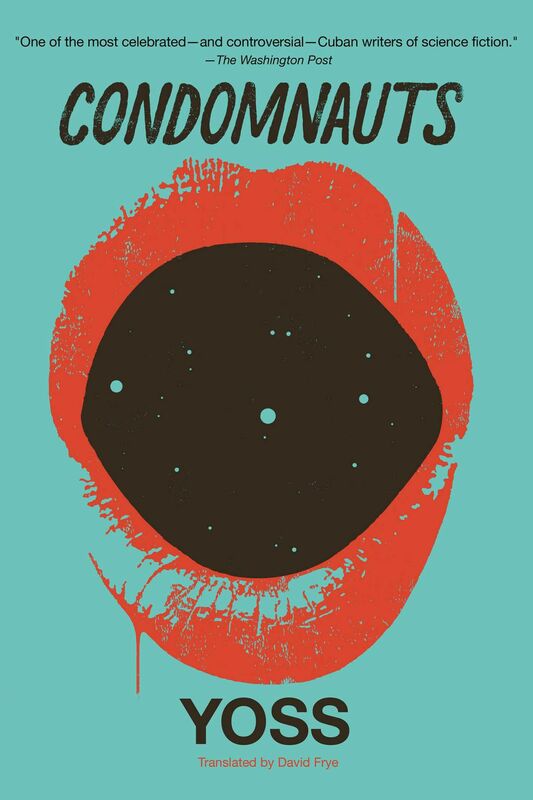 The publisher has a new novel from him, Condomnauts, set in the 24th century. It follows Josué Valdés as he goes from being an orphan in the slums of Rubble City, Cuba to an accomplished galactic explorer. He’s recently discovered a new calling as the sexual ambassador for humanity and its Nu Barsa colony. These “condomnauts” are an elite class of genetically modified humans, and when an undiscovered extragalactic civilization arrives, he sets out to represent humanity. Becky Chambers’ first two novels, The Long Way to a Small, Angry Planet, and A Closed and Common Orbit are some of the most delightful space operas that I’ve read in a long time. Set in a future, inhabited galaxy, humanity coexists along with thousands of aliens and artificial intelligences in a vast, interstellar diaspora. In this third installment of her Wayfarers series (each installment is a standalone read), the Exodus Fleet houses the descendants of Earth’s final inhabitants, who have maintained their community and customs. But many of its inhabitants have begun to leave, and those who remain face an existential quandary: with their fleet’s original purpose fulfilled, what comes next? Rich Larson is one of the best up-and-coming short fiction authors writing in the field right now. (Disclaimer: I published a story of his in an anthology I edited, War Stories: New Military Science Fiction.) Now, he’s publishing his first novel. 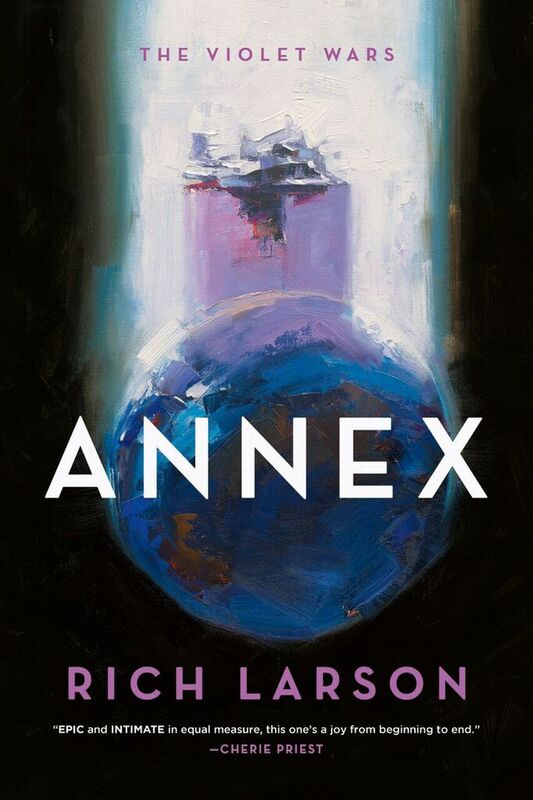 Annex is the first of his Violet Wars series, set in the aftermath of an alien invasion that turned most of the adults in the world into mindless drones. Violet is a transgender girl who leads a band of lost children, most of whom have strange abilities imparted to them from alien bio-mechanical parasites. Gary K. Wolfe reviewed the book for SF trade magazine Locus, saying that the characters and Larson’s breakneck pace make the book an exhilarating one. Grand Admiral Thrawn is back in Thrawn: Alliances, the sequel to Timothy Zahn’s fantastic 2017 novel Thrawn. Emperor Palpatine has detected a disturbance in The Force at the edge of the Empire, on a small planet called Batuu. Troubled, he tasks the alien Grand Admiral to investigate, with Darth Vader tasked with accompanying him. The pair had crossed paths once before, and now, they have to trust one another as they face challenges on a distant world. Read a pair of excerpts.